To work in Fiji, you may need to apply for a Work Visa or Permit. This section will provide you with information about how to apply. 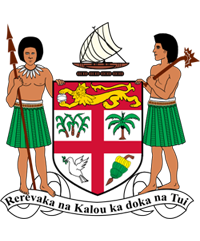 Permits to enter and reside or to enter reside and work in Fiji may be issued on application made to the Director of Immigration, Government Buildings, Suva, Fiji. The application form, which costs $5.00 each, is available at the Immigration Office in Suva, Nadi and Lautoka. Persons under written contracts of employment with local employers and for whose services there is a reasonable demand, which cannot be met satisfactorily within Fiji. All these positions are first advertised in Fiji and work permits are only considered in the absence of local expertise. Usually, these permits carry a training condition whereby a local counterpart is required to be trained within the specified time. The work permit shall become void immediately upon any conditions being breached. The employee concerned must file applications with reasons given. This should be accompanied by a certificate from the Ministry of Employment and Industrial Relations that the skill is not available in Fiji including the name of the local understudy or counterpart. A police clearance certificate from the applicant’s country of origin is also required. granted to the foreign shareholders* This number should not exceed the number of shareholders in a project. For further information on Investment opportunities, please visit the Fiji Trade and Investment Bureau website on www.ftib.org.fj or the Fiji Trade Commission in Los Angeles. The amount of cash or bank bond will be equivalent to one way economy class airfare to the permit holder’s country of residence plus $500.00 to allow for increases in airfares and to meet other associated costs, e.g. departure tax and the cost of local transportation. The rates for each country are available from the Immigration Department. Research permit is usually issued to individuals planning to undertake approved research activities in Fiji. Research permit is issued based on the recommendation of the Research Committee. These permits are issued for three period of six months each and eighteen months in total. That he/she will provide the Director of Immigration (without undue delay) with six copies of shortened, non-technical version of his/her findings in the English language, and will agreed to the translation of this shortened version into such local languages as the Fiji authorities may determine.